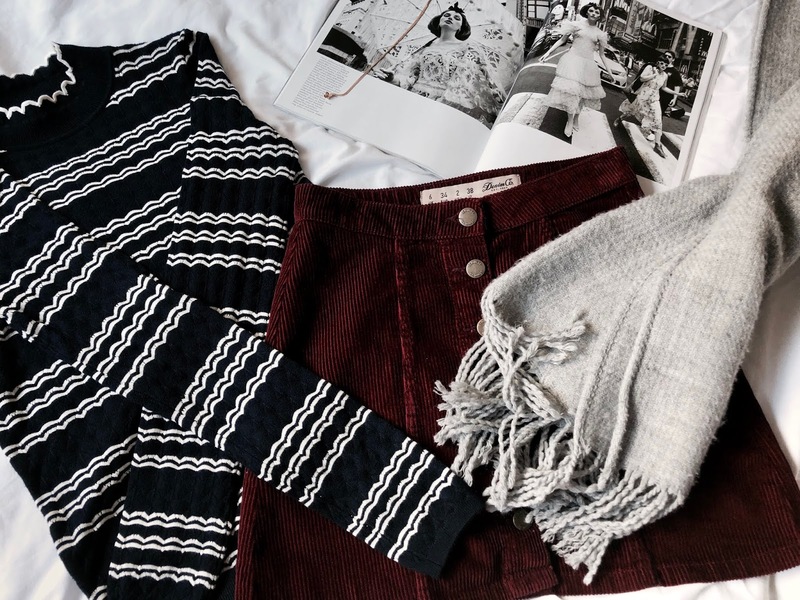 I always say during the summer months that summery clothing is the best, yet then I get to autumn and realise there's nothing better than a cosy jumper and a gorgeous woolly scarf, wearing lots and lots of burgundy. I've stocked up on a few items this season in my wardrobe which I had to share. 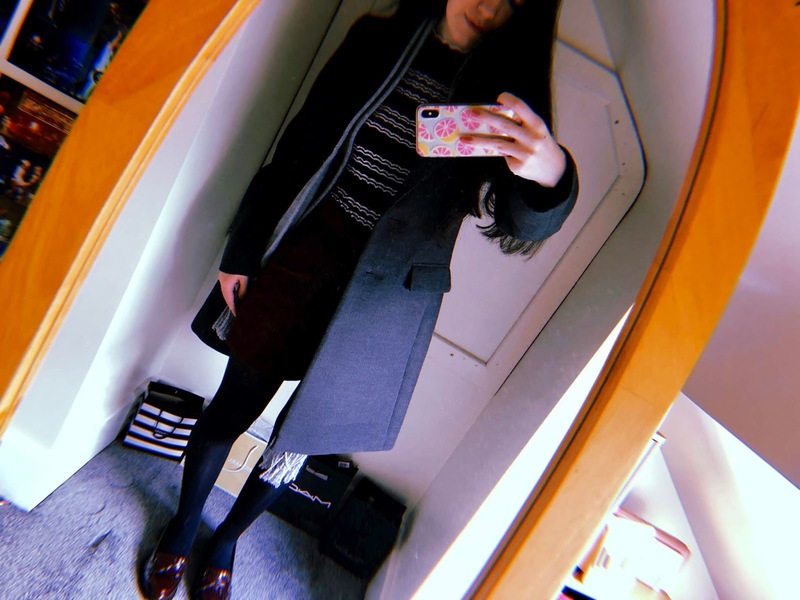 AKA the coat of dreams - this season I decided I wanted a new smart coat and that the perfect colour for this would be charcoal grey. But the major problem with this was most shops didn't seem to sell one exactly like this, until I found this gorgeous coat from Warehouse. It's definitely a bit pricier than my usual New Look coat so I was very excited to receieve it for my birthday. It's honestly one of those coats that just fits you like a glove and because it's such good quality I know I will get a lot of wear out of it. I actually got these at the start of autumn but still really wanted to include them because they are so on trend right now. I have always wanted a pair of loafers but never found any that wouldn't just fly off my particularly narrow feet, but this pair from Dorothy Perkins have actually managed to stay on my foot for the full course of a day, while being incredbily comfortable. 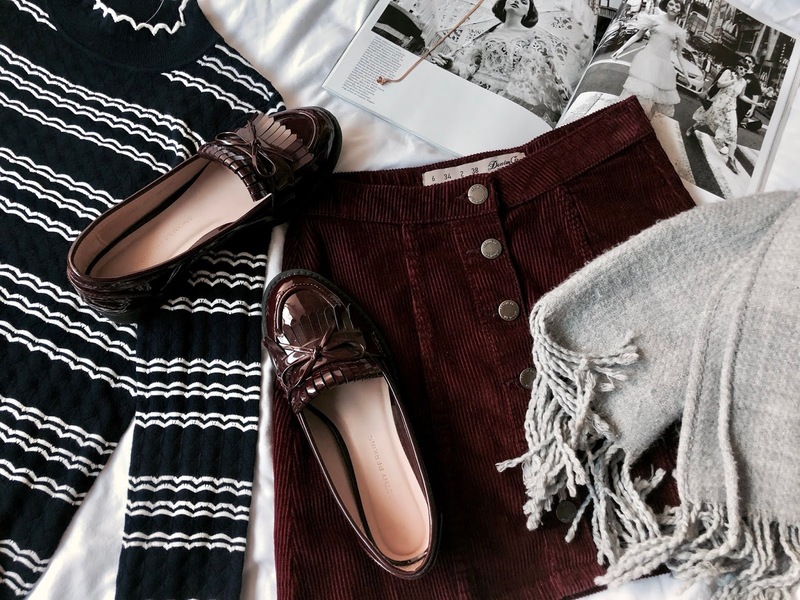 Although I reckon at some point I'll probably get a black pair of loafers, I love the burgundy (and they manage to match everything in my wardrobe anyway because when am I not wearing burgundy). I stepped into Miss Selfridge the other day and could have easily bought about four tops in there, but I managed to resist temptation (very proud of that self-control) and just go for the one. I love wearing navy but don't really have any of the ribbed style tops like this in navy and also love how different it is because I am always going for stripes, so the wavy stripe makes it unique in my wardrobe. I literally wear a scarf all the time with my coat and hadn't bought one for three years (!!!) so I knew this year, I was buying one. I totally wanted a neutral one that would match with my new coat, but also any other coat, so a light grey was my initial idea. 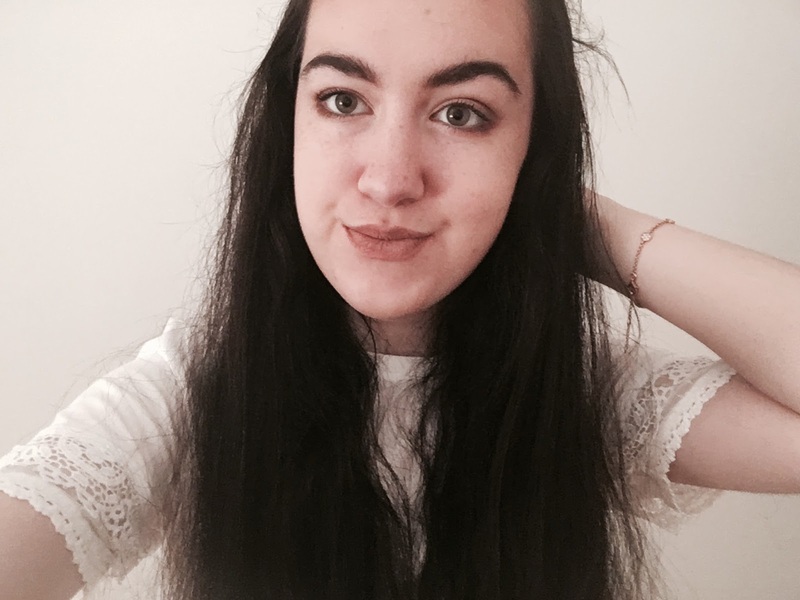 Thank you to Topshop for supporting my idea, and creating this very very cosy grey scarf, it's so soft and I absolutely love it. 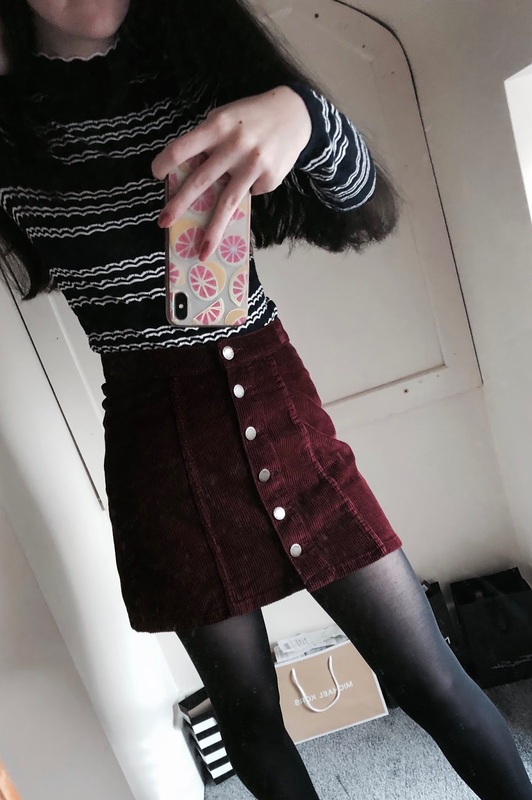 Since burgundy and corduroy are two of my favourite things, I totally couldn't resist this skirt from Primark. Not only is it a complete bargain at £8, it's so comfortable and autumnal. I love wearing this with my loafers because they match so perfectly! What are your A/W Staples? I love the burgundy skirt, right up my street! Might have to pop into Primark and see if I can pick one up for myself! Love everything that you have picked out, they all go so well together! I have just brought a skirt similar to yours, just in a light stone colour! This are some lovely picks! I've never looked in Miss Selfridge for clothes, but will have a look in thw New Year sales.